“Come Thou Savior, Spread Thy Table,” from Glory to the Holy One, is the only song in this collection which includes both words and music by Dr. Sproul. 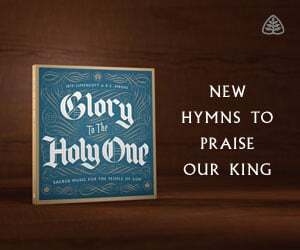 This communion hymn presents a biblically-balanced and robust Reformed perspective on the Lord’s Supper. The Lord’s Supper is a true meal in which Christ is really present. Christ spreads His table and feeds His sheep the “gift of heaven’s Bread….the feast of Pascal Lamb.” Christ’s real presence was central to John Calvin’s sacramental theology. Dr. Sproul writes, “Calvin thus argued that Christ was really or truly present, spiritually, in the Lord’s Supper, though not in a physical sense” (Essential Truths of the Christian Faith). By the Holy Spirit, we spiritually are raised into Christ’s presence in mystical communion and feed on Christ crucified for our nourishment. “For we, being many, are one bread and one body; for we all partake of that one bread” (1 Corinthians 10:17). The Lord’s Supper is a means of grace. This ceremonial meal is much more than a memorial. We are “helpless, starving sheep….unable to drink Thy cup so deep….weak in spirit….with spotted soul and wrinkled gown.” Christ knows our weakness and lovingly gives His beloved this precious gift “to seal His promises in us, to pledge His good will and grace toward us, and also to nourish and sustain our faith” (The Belgic Confession, Article 33).